This article will help you, how to do this. Articles for help & guidance not for selling & promotion. Regular guides will also help your customers learn basics. Be consistent. Regular posting of new articles will keep your blog young & attractive. Care about your readers & your clients. Keep it simple & down to earth. Try to help your readers instead of writing controversial posts. You’re good & Be good! Consider the opinions of your regular viewers. When you post something on social media, you’ll receive the views through the comments, reply to these comments ASAP so that you don’t appear idle. Every company have some personal moments & it is good to share those moments. This will make your customers feel closer to you. Make a regular schedule of posting, & sharing on social media. When you share the article, you are attracting crowd towards your brand. Blog posting surely increasing number of subscribers. Give the option of blog sign-up to your customers to receive the weekly, monthly mails. Send interesting & attractive email newsletters to these subscribers on regular basis. Content of newsletter must be concise, clear, & relevant. Awareness of strengths & weakness is very necessary for a running business. No need to describe your weakness as it is not a confession room. Find your weaknesses to remove them or to convert them into strengths. Use your strong points to catch the viewers & visitors to make them your clients. A short path is faster & quicker but will never yield fruitful & long-lasting results. Better option is to be patience & wait for the result. It’ll definitely yield a permanent outcome. It’ll bring stability to your business. focus on the fact that why one & should purchase your product, through there are no. of other stable providers. Twist is something which develops interest of a reader. Keep your articles different & a little spicy article will give more readers. But make sure not to repeat it in every article. Social media is very necessary for a business, more and more people know you. Social media is a nice tool but not only a tool. Don’t target social media as the only option of promotion. Open yourself to other areas too & utilize them fully. After using all the options for a fixed time, you may compare & find out which was beneficial. Explore a new revenue channel with our reseller options that give you the opportunity to offer industry’s leading SMS marketing platform to clients. Have you considered bulk SMS as a marketing channel? With 98% open rates and email like attachments & analytics, Obligr SMS offers unbeatable ROIs. Enhance your client’s marketing campaigns with special offers and discount vouchers. Let us manage these for you—from voucher creation to redemption! Ever wondered about inserting a call-to-action in your billboard ads? Now get readers to send SMS to your client’s short codes or long codes for exclusive offers or for more information and generate leads from your offline ad campaigns. Building a mobile landing page just got easier—create one quickly for your clients’ SMS marketing campaigns with Obligr and bid goodbye to your dependence on IT teams. Generate detailed SMS campaign performance reports using our API or download them from the UI to share with your client. Delight your clients with this value addition! 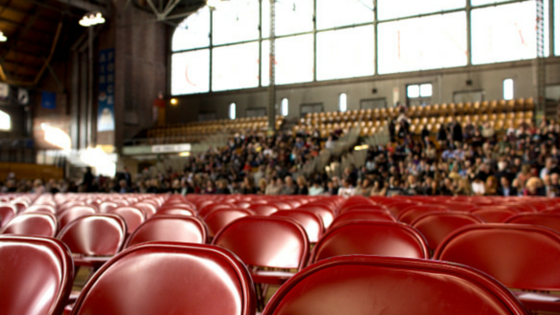 Cut down on the effort you put into managing an event. Just use Obligr for an end-to-end solution whether it is promoting events, managing RSVPs, issuing passes or gathering feedback. Why wait for your client to read your email? Wow them by instantly sharing your media plan, ad copy or marketing proposal via Obligr SMS attachments. Send automated SMS reminders, meeting updates, campaign alerts, and even payment receipts to your clients by integrating your CRM with our SMS gateway APIs. The rule of Business is very simple: More customers means more profit. But only having customers is not enough for your business. The all you need is to make your business more happening by converting your customers into your all time subscribers. There is a little difference between customers and subscribers. Customer is a person who avail your goods or services more likely as one time purchase, but a subscriber means something more. Here purchasing is replaced by recurring purchases. So, It’s better to have subscribers than to have customers. So, you can expand your business more by having good number of subscribers.But it’s always good to make new subscribers, so that you can spread your business. If your subscriber are helping you that much in growing your business, then why not you make the path of your customers to become subscribers a more easy, a more pleasant and the best of it, a more shortest path to reach you. Believe me your customers would love to become your subscriber if the distance between you and your customer is just a ring. Missed call service is the shortest path between you and your subscribers. The procedure of Missed call service is as easy as doing a missed call. You just have to provide your number to your customers and your customer are supposed to call on that number. With one ring, the call will be disconnected itself and the number of your customer will be saved in your database, and from that very moment your customer will become your all time subscriber. What after, if they became your subscriber, it’s obvious that they want to know more about you. Just allow them to know you better. A missed call will let you know that your customer wanted to contact you. For queries they just have to dial the number, after one ring call will be disconnected and the number of your customer will be saved in your database. One of your executive will call the customer back to solve the queries. But, you must be thinking that there are a lot of options for you to do all these then why Missed call service. Here the answer to your question that why Missed call service for your business. No doubt, using Missed call service would save a lot of investment of your business, because all it needs is to issue a number and maintaining one database. Running a business includes much more important works than why to waste your investment and time. Missed call service will save your time as well as your money. The most important pillar of your business is your customer, improving your experience will improve your business eventually. It acts as the shortest path between you and your customer. What could be better than that for becoming your favorite brand’s subscriber, you just have to make a ring. As already said by me earlier that business is all about saving investment and resources. Missed call service doesn’t require any human interaction. You need people for you business, but for important parts, right? It can save your resources and investment gradually. There would nothing wrong in saying that Missed call the rapid service, Your customer need not to fill the boring long forums just to avail your offers. 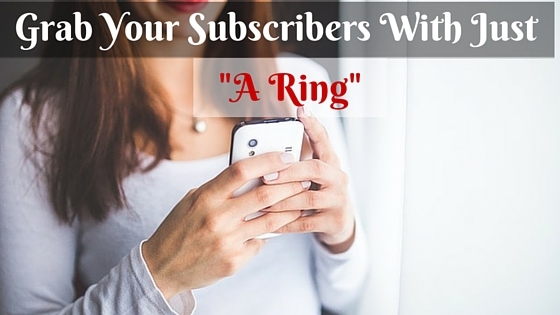 What they have to do is just a ring and your Customer is know your Subscriber. So, there are definitely a lot of services available but there is a slight difference between a marketer and a smart marketer. Be a smart marketer and save your money and resources and that too by giving an excellent customer experience. Missed call service is quick, effective, reliable and simple and I believe these are the things which we expect from Technology.